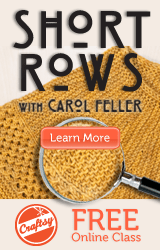 Hmmm, I swear I wrote and saved a post about how I finished the Rocky Coast Cardi. It’s no where to be found. Oh, well, second time’s the charm. So, anyway, I finished the Rocky Coast Cardigan. No, I really did. It has all its arms, a collar and it fits. Well…ok…we’ll say it fits. It’s supposed to have much more ease than it really does, but it fits as if it’s a regular (without extra ease) sweater. I even knit the sleeves with no decreases. I think the cables play with the elasticity of the knitted fabric, so it ends up less stretchy than you would want it.The Boyfriend likes it, and he’s not much of one with an opinion on that kind of stuff. Alright, maybe I’m exaggerating a bit, but he’s a boy and wonders why I have 10 pairs of black boots. Sweaters are of no consequential matter for him. So, I’m impressed he likes it. Notes: The only mods were to do no decreases in the sleeves.